First, they seize Parliament, then the Courts, and now….the Central Bank . There was once a dictatorship in Somalia under the brutal rule of Mohamed Siad Barre, but someone needs to tell Hassan Ali Kheyre that those days are long gone. Someone also urgently needs to distribute to Villa Somalia copies of Somalia’s supreme law – the Constitution. But of course, it is not that the Prime Minister does not understand the law; rather, the Prime Minister does not care for the law. And someone needs to fess up: is Hassan Ali Kheyre the Prime Minister or the President of Somalia? The Central Bank of Somalia is a critical institution that, among many functions, holds all the revenue collected from Somalis. Article 114 of the Constitution guarantees the independence of the Central Bank from the government. We were all pleasantly surprised when the executive announced that they would fill the position through a competitive selection, taking out a very expensive ad in The Economist. Minister of Finance Beileh insisted: “we want to hire from among the best and the brightest!” But it soon became obvious that this was a sham competition. Parliament was paid off to change the 1960s Central Bank Act, so that a foreigner could become Governor. Specifically, this was a pre-meditated ploy to hire British friend and associate of Kheyre, Mr. Nigel Roberts. But luckily, the public and a few patriotic parliamentarians caused a noisy ruckus and so the Prime Minister’s plot was foiled. Still, the search for the next Governor appeared to continue. Well over one hundred men and women had applied. The competition went on for almost a year. After three rounds of interviews with candidates being flown in to Mogadishu each time and put up in expensive hotel accommodations, the Selection Committee passed on a shortlist of four men to the top leadership. It is important to note that the Selection Committee consisted of 5 men. The three Kheyre loyalists on the panel were Minister Beileh, Minister Ashur and Mr. Abdirahman Abdullahi (economic adviser to the PM), and the two independent panelists were Dr. Ali Isse Abdi and a Kenyan banking expert. Now after all this public money was spent on the race and after all this time, who did the Selection Committee short-list? 1) Nigel Roberts (foreigner). By his own account via his LinkedIn profile, Mr. Roberts is an Englishman who has spent much of his career working on conflict issues in Myanmar, Somalia and Lebanon. He has zero experience in the world of finance or banking and holds degrees in English Literature and Agri-economics. It is curious how Mr. Roberts progressed to the final stage considering that the Economist ad posted by the Government states “The successful candidate will have held a senior managerial position in a Central Bank, Government agency, private financial institution or an international organization. He/she must be fully conversant with the functions and operations of a Central Bank. He/she must also be fully conversant with monetary policy and issues relating to financial sector regulation and development.” On basic competence alone, Mr. Roberts fails astoundingly. We must wonder if any other country would consider such a mediocre candidate for this position who only appears to have British/Anglo-Saxon pedigree to offer as an “advantage”. 2) Among the Somali finalists, there is Hussein Khalif Haji Jama. Mr. Jama is a former presidential candidate. His LinkedIn account attests to over 25 years of continuous experience with international financial institutions spent in senior managerial roles with the Islamic Development Bank Group. At Canada’s flagship export credit agency, Export Development Canada, Mr. Jama served as a country economist and was part of the Canadian delegation many times in Paris Club debt treatment negotiations. His educational credentials include awards in Macroeconomic Policy and Applied Economics from illustrious institutions including Harvard University, the University of Ottawa, the University of Waterloo, and Concordia University. Mr. Jama speaks Somali, English, French, Arabic and Italian. 3) Another impressive Somali candidate who was short-listed is Abdulqafar Abdullahi. Mr. Abdullahi holds a Master of Business Administration (M.B.A.) from Delhi University and a Master’s Degree in Economics from Carleton University. He began his career at the Canadian Government’s Department of Finance where he spent 6 years first as an economist, then graduating to senior economist. In 2013, Mr. Abdullahi moved back to Somalia for about a year where he acted as senior economic adviser to the Governor of the Central Bank of Somalia. He then took a position with the World Bank in which he led Somalia’s intergovernmental fiscal relations on behalf of the Bank. These days, he spends his time with the International Monetary Fund where he advises the Executive Director for Africa Group 1. Abdulqafar speaks English, Somali and French. 4) Yet another short-listed Somali candidate is Dr. Abdirizak Hassan Omar. 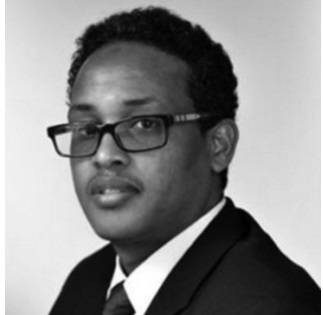 Dr. Abdirizak holds a PhD in Finance from Walden University, a Master’s Degree in Financial Economics from Ohio University and a Bachelor in International Finance from Ohio State University. Dr. Hassan was the chairman of the HighLevel Task Force for the New Deal process for Somalia, and subsequently led the first Multi-Donor Trust Fund that used in-country systems and has for a long time worked as an advisor to the Governor at the Central Bank of Somalia. Dr. Hassan’s most recent work includes improving Public Financial Management systems in Jubbaland and Puntland as part of the World Bank’s Recurrent Cost and Reform Financing Project. Recently, he has been consulting with the Central Bank of Somalia. He is fluent in Somali, English and Amharic. So, you may ask: After this long, exhaustive and costly search and with this short-list of highcaliber Somali men submitted by the Selection Committee to the top leadership, who did the President choose? On April 4, 2019, after approval by the Cabinet, it was announced that Abdirahman Abdullahi was selected as Governor of the Central Bank of Somalia. If you scroll upwards, you will see that Mr. Abdullahi was not on the short list, but was in fact a member of the Selection Committee who interviewed the candidates during all three rounds. Indeed, the man in charge of selecting the Governor selected himself. This is a bold disregard for due process and procedure and a dangerous precedent that taints the Central Bank of Somalia, an institution that has historically been implicated in corruption and capture by the executive. Prime Minister, as well as a cousin-in-law, who served as Hassan Ali Kheyre’s senior economic adviser despite questionable credentials even for that role. He has a recent degree in finance from Liverpool John Moores University, which ranks low (501 out of 600) on World University Rankings, and a Bachelor’s Degree from Norwegian University of Technology and Science. His professional background is similarly questionable. Reliable sources confirm that Mr. Abdullahi worked as a revenue collection officer at the Ministry of Finance in the 1980s before working as a Metro bus driver in Norway. He has since held roles in Dahabshiil hawala service and Norwegian Refugee Council, which then-director Hassan Ali Kheyre likely facilitated. Compared to the candidates above who went through the competitive process, it is clear that Mr. Abdullahi is woefully under-qualified and unfit to be Governor of any central bank in the world. Like Nigel Roberts, Abdirahman does not meet the experience published in the Government’s own job description. It is clear that the priority for the executive was not that the best and brightest be picked but that a close friend of Hassan Ali Kheyre controls the Bank. Citizens have the right to question why – what are Hassan Ali Kheyre’s plans for the public’s money? Dr. Ali Isse Abdi, a well-respected IMF career expert and member of the Selection Committee was just quoted publicly denouncing and distancing himself from the bogus selection process orchestrated by the Prime Minister. Dr. Ali explains that the Committee spent over 8 months and significant energy and public resources looking for the best Governor for the Central Bank”. He rightly questions: “If Hassan Kheyre knew exactly who he wanted for the Bank, he should not have organized a competitive recruitment exercise in which over 140 Somalis were interviewed and considered.” Dr. Ali warned how this kind of behavior by the government endangers the country’s fragile peace. We must also ask: where is the Financial Governance Committee (FGC) which was involved in screening applications and is mandated to monitor financial governance in Somalia? The FGC includes several delegates from the World Bank and African Development Bank. Why the radio silence on this clear breach of good governance? According to Somalia’s Constitution, the Federal Parliament of Somalia is an oversight body. It is supposed to hold the executive to account. It should be scrutinizing every shilling spent by the President and Prime Minister’s offices as well as every ministry. This is how parliaments around the world function. But of course, Somalia’s Parliament is highly dysfunctional and jam-packed with incompetent, unpatriotic men and women that are there to line their pockets with public funds instead of serve the interests of Somalis. Today, it is unclear where the executive ends and where Parliament begins – a classic feature of dictatorships. Villa Somalia routinely bribes parliamentarians so that they behave according to Kheyre and Farmaajo’s wishes. Furthermore, Kheyre has strategically stuffed his Cabinet with members of parliament so that he and his yes men, can control the legislature. To make matters even worse, the Upper House which is an important chamber representing the Federal Member States has been totally bypassed by the House of the Peoples and treated as redundant. As a result, Speaker Abdi Hashi Abdullahi suspended the Senate’s relations with the House of the Peoples in January 2019 in protest over these bold violations of the Constitution. In a nutshell, the Federal Parliament of Somalia is not the prestigious, independent body that it was constitutionally-imagined to be. It is largely an extension of Hassan Ali Kheyre and his trapped ministers that suffer from a bad case of Stockholm syndrome. Kheyre has reduced his ministers to cowering children in a classroom; they are unable to express their true views or dissent like any healthy Council of Ministers. Effectively held hostage by Kheyre, they must either blindly agree and do the PM’s bidding or risk being fired. On Farmaajo and Kheyre’s watch, the security situation in Somalia has deteriorated rapidly. Mogadishu is under siege by violent militias who have consistently managed not to outnumber but to outsmart the government. In what almost looks like total surrender, the government has failed to secure even the streets at its doorstep. Even with a state of emergency imposed, checkpoints installed every few metres, and key roads closed, al-Shabaab manages every day to get cars loaded with explosives into well-protected areas and past heavily-guarded checkpoints. The only people hurt by the government’s security measures are poor Somali citizens whose businesses have been hit hard by the closed roads. Every day, citizens ask: how does al-Shabaab manage to get VBIEDs past multiple government checkpoints? The Government is yet to provide an explanation. 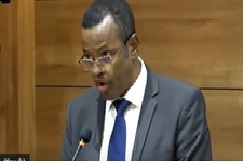 And when Parliament tries to hold the Government to account and inquire into the security failures, Kheyre and his ministerial henchmen tyrannically work to ensure that there is insufficient quorum in Parliament or engineer a crisis in the chamber so that they are not questioned on security. This is exactly what transpired recently during the second and third sittings of the House of the Peoples. It is apparent that the independence of Parliament has been totally compromised and its oversight function paralyzed by the unrelenting grip of Hassan Ali Kheyre. What of the total lack of justice? Mothers selling fruit on the streets and schoolboys and girls heading home being blown up on a daily basis in the capital city; bombs planted every day under the cars of unsuspecting Somalis; our most talented youth assassinated in their own neighborhoods. Where are our courts? Again, the executive has no interest in the rule of law or in justice for Somalis. In 2018, the Chief Justice was arbitrarily sacked and replaced by a government loyalist, Bashe Yusuf Ahmed who is none other than a close relative and tribesman of Deputy Prime Minister Mahdi Gulaid Khadar. Again, we see the fingerprints of Hassan Ali Kheyre disabling the judiciary. It is no wonder that most Somalis rely on the efficient justice services provided by al-Shabaab. 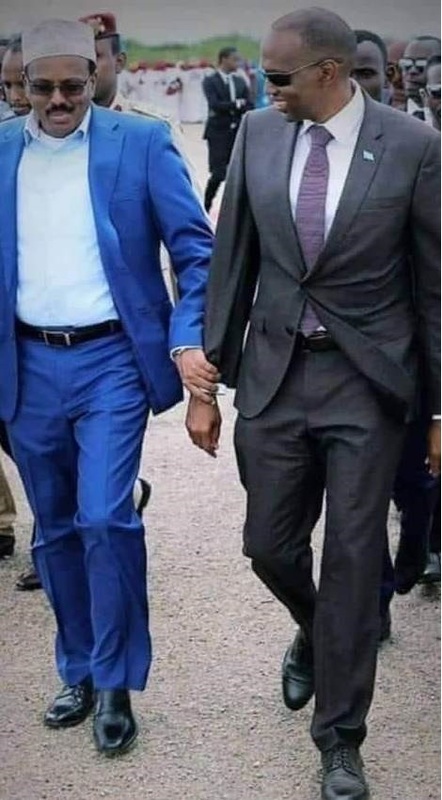 In short, the Federal Parliament of Somalia, the Judiciary, and now the Central Bank of Somalia (as well as a number of Federal Member States) are all controlled illegitimately by Hassan Ali Kheyre. Either the Prime Minister has gone totally rogue against the President’s wishes or the President has given him carte blanche to consistently violate the letter of the law and act as President. It is clear now that Prime Minister Kheyre’s public calls for accountability (“isla xisaabtan”) and his frequent diatribes against corruption are empty posturing; nothing but rhetoric and a classic case of “do as I say, not as I do”. So who will hold the increasingly monarchical Prime Minister Hassan Ali Kheyre to account? And why has President Farmaajo ceded all his roles and key decisions to King Kheyre? Somalia needs to send a search party for its missing President as he has some answering to do to his longsuffering citizens.